Now, there’s talk of people who eat the Screwbacco leaves, but it makes quite a mess, and spittoons aren’t terribly portable. Those in the know, harvest the berries by the light of the full moon, and put them through a juicer. Then they take that juice and shove it in an ecig. A touch of strawberry with subtle dessert undertones. A gentle kiss of fine tobacco. This is Screwbacco. Well we don’t know about this crazy legend Steam Factory has made up, but we can say this is a damn fine profile. It’s the perfect juice for lovers of Fruit and lovers of Tobacco. This might be a great gateway juice for those of you looking to experiment with new flavours other than tobacco varieties. 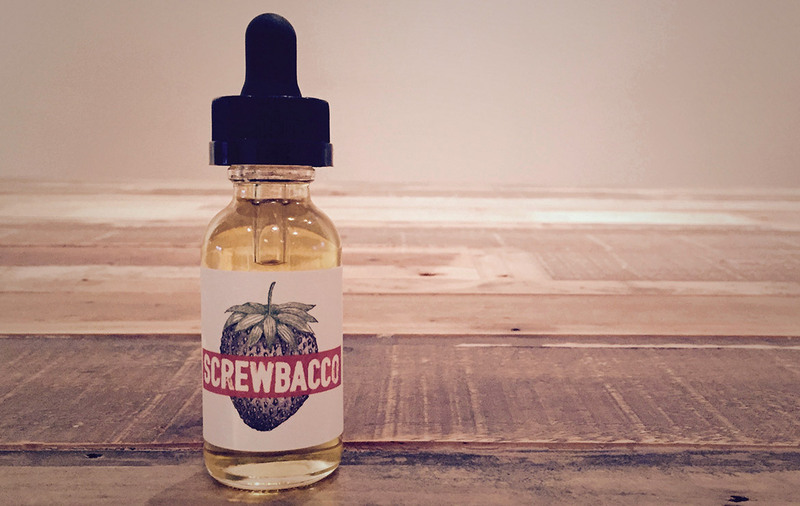 It’s the perfect blend of Fresh Strawberries with undertones of Tobacco, Custard, and Cream. It’s a dope looking label that makes it memorable and easy to carry around. This juice shouldn’t be ignored, not too intense or overbearing, just yummy creamy goodness. Pick up a bottle asap! All Day Vape: Rich Creamy Goodness, Yep!